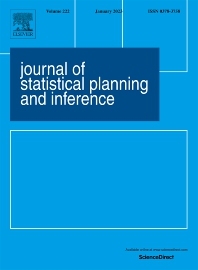 The Journal of Statistical Planning and Inference offers itself as a multifaceted and all-inclusive bridge between classical aspects of statistics and probability, and the emerging interdisciplinary aspects that have a potential of revolutionizing the subject. While we maintain our traditional strength in statistical inference, design, classical probability, and large sample methods, we also have a far more inclusive and broadened scope to keep up with the new problems that confront us as statisticians, mathematicians, and scientists. We publish high quality articles in all branches of statistics, probability, discrete mathematics, machine learning, and bioinformatics. We also especially welcome well written and up to date review articles on fundamental themes of statistics, probability, machine learning, and general biostatistics. Thoughtful letters to the editors, interesting problems in need of a solution, and short notes carrying an element of elegance or beauty are equally welcome. We want to serve as the broadest international platform for high quality research on every aspect of our field, traditional and cutting edge. The quality and the breadth of our editorial board reflects that singular priority.